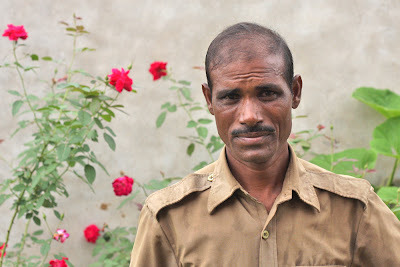 This story is of a poacher, who has killed three tigers in Ranthambhore National Park but since 1 ½ years he is working in the forest department office as a gardener. Jugraj Mogya is facing trial in high court for killing three tigers from Ranthambhore national park. http://www.youtube.com/watch?v=v9GRqMJLOA8 He was operating from the Uliyana village. In 2006, Jugraj surrendered his illegal weapon to late Shri Fateh Singh Rathore and his retired friend ex-DGP Rajasthan late Mr. Shantanu Singh. Add. SP -Mr. Samir Singhji lead team of CB –CID had listed him for poaching three tigers and selling to a trader. After few months in jail, Jugraj got a bail. When jugraj came back to his village Halonda, some villagers of Uliayana kidnapped him and made him a bonded labor, so that they could compensate their loan. Village Uliana is infamous for their violent people. In early 8o’s the villagers from Uliana had attacked Mr. Fateh and broken his legs and hand. 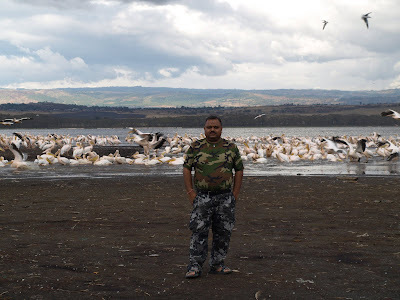 They fired on policemen and provided shelter to poachers like Devi Singh. Jugraj had taken INR 25000 loan for his daughters marriage from them. The villagers made new loan papers and included that Jugraj had taken INR 67000/- loan, actually they included interest in this sum. Now, Jugraj was asked to pay almost INR 2000 per month as interest and return the rest of the inflated money. That time DFO-Ranthambhore got news that Jugraj is in Uliyana again and can kill a tiger any time to return the loan. Once again the Forest officials contacted Tiger Watch to rescue Jugraj from Uliana. Jugraj was rescued from Uliana by Tiger Watch team but scared Jugraj said that his family’s life could be in danger and he has no choice but to settle the loan. Fateh Singh rathore called up the villager who had lended the money to Jugraj and ACF Mr. Sudarshan Sharma to settle this case. Fatehji decided to give INR 25000 from Tiger Watch to the money lender and ACF Mr Sudharshan offered new job to Jugraj. Fateh’s German friend Mr. Dieter Gutman compensated this money to Tiger watch. ACF Mr. Sudarshan Sharma gave him job of gardener in forest office. Secure job and uniform gave Jugraj the confidence, peace of mind and dignity. To date Jugraj is working with forest department. Gratitude’s from Tiger Watch to Mr. Sudarshan Sharma for his positive contribution towards reform of this poacher. If the community, NGO and authority do small deeds like this they can change the face of conservation. Superb story! So nice to see poachers transforming. Mam, is this a common case where a villager is forced to become a poacher due to financial stress? Great...Hats off to TIGER WATCH AND MR. SUDARSHAN SHARMA.KEEP IT UP.